Now that pickleball has really caught on, you might find the competition is fiercer than you thought. 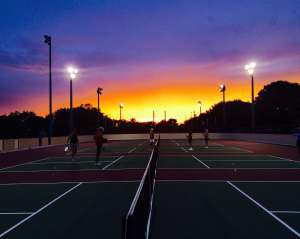 Palm Beach Gardens (FL) will have its second annual Battle for the Brick Pickleball Championships March 3 and 4 at Lilac Park, 4175 Lilac St. The cost is $30 per player, and players should register by Feb. 22. Winning players will receive an engraved brick.